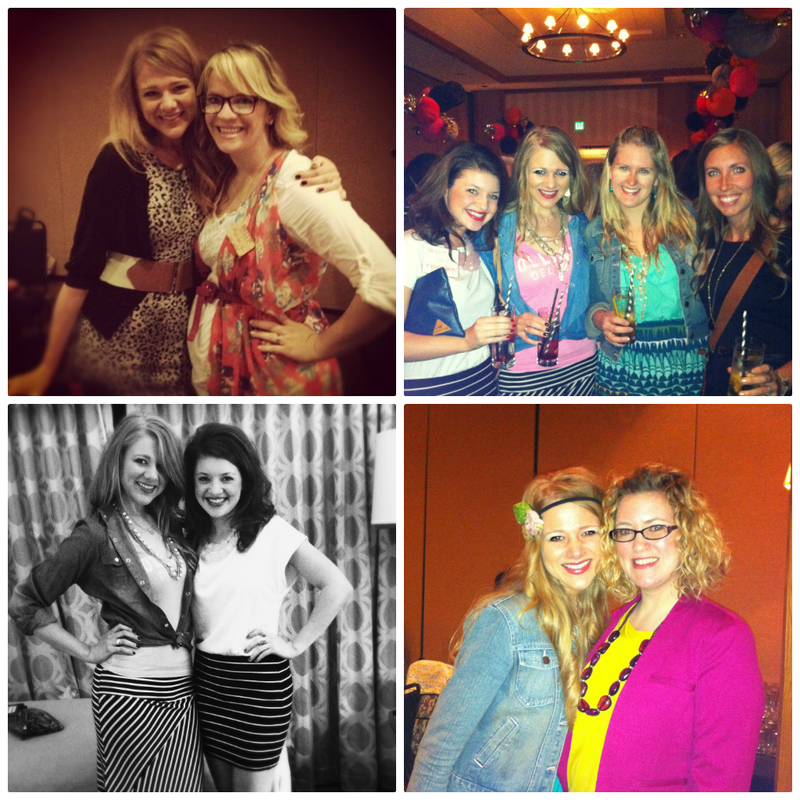 Erin Morris: meet me at Influence? 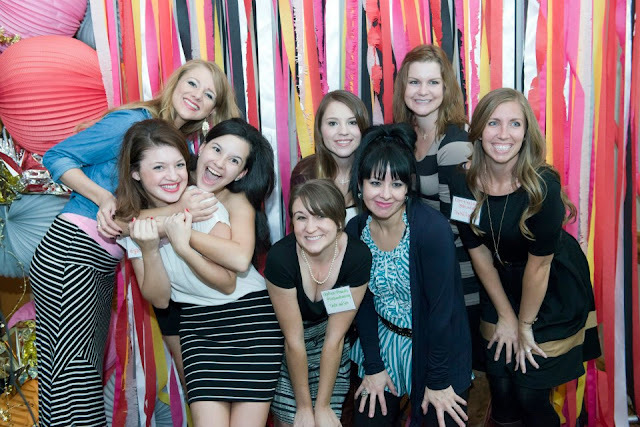 at Influence with the sweetest girls last year! Why Influence of all conferences? Ok, so blogging is uber trendy and there are more than a few blogging conferences out there. I get it. So why should you choose Influence? Because Influence is all about Jesus. It's all about being real and building real relationships. It's all about community. And it's so encouraging. Why should YOU go? Because you will be blown away with encouragement, filled up with genuine love, and absolutely empowered and inspired in your life, faith, and ministries - in all areas: your home, your family, your community/church, and your blog! And also? I really believe you should come because I want to meet you. The blogging community in general is such a blessing, isn't it? I've met such amazing friends through it. And I also love our little community here on Sweetness Itself. You gals who comment and take your precious time to read and pray and be there and identify with one another. Influence Conference gives us a perfect opportunity.... to meet in person - in real life! I often say I just want to sit down with you girls at a coffee house and chat, laugh, cry and pray over our favorite hot drinks. Influence gives us a place to meet!! And have that coffee date! And have it also with a couple hundred of the best women on the planet. Ladies, I wanna meet you! Lie #1: There's No Way I Can Afford It. Our God is a big God. He can do anything. He places desires and dreams in our hearts and can make them happen regardless of impossible situations, empty bank accounts, and bleak-looking futures. Last year, when everybody was tweeting and talking about attending Influence, I shed a few tears because I just simply couldn't afford it. Yet, through a crazy series of events and a few really precious, generous friends - God opened the door. Take it from me, He can do it. It was a miracle I could attend last year! And He can do the same for you. Pray about it. Ask Him. He can do the impossible! It's not too late! Lie #2: I can't go because I'm not a blogger / a wife / a mom / in ministry. The great thing about Influence is that it is not a blog conference or a wives conference, a mom's conference or a conference for pastor's wives or people in full time ministry: it's a conference for all of us. It is a place to be loved on and encouraged for what you do and who you are, and a place to connect in a meaningful way with other like-minded women. Influence truly has something for everyone. A place for every woman to connect, feel loved, and get encouraged. Influence inspires each of us to use our Influence for the Lord in every area of lives. There are workshops and places to connect specifically for the single women (I'm so excited to meet with the single ladies and lead that workshop! ), the moms, those who own handmade shops, for bloggers. But as a whole, Influence is a non-cliquey place to connect with amazing women and to connect with God. Last year, I enjoyed dinner with unmarried girls like me, I had coffee with married women my mom's age who have raised 5 kids, and I attended workshops and worship times with ladies younger than me! Such a precious picture of community. I felt totally encouraged and so loved when I left Indianapolis. Lie #3: I'm too scared to go, what if I feel left out and alone? I promise you won't. Promise! I seriously cannot emphasize enough how loving this particular group of ladies is. Even if you don't know a soul who is attending the conference, you will be embraced with open arms. I am one of the Community Leaders this year, and I know I'm not just speaking for myself when I say that our group of leaders are already praying over you, excited to reach out and meet you, and not afraid to give you a big hug around the neck and invite you you to sit with us! I remember when I first got to college, I didn't have lots of friends yet and I would just agonize over going to Chapel in the mornings because I didn't want to sit alone... it was a real fear for me that caused serious anxiety. So I know that feeling, girls. But at Influence, if you're scared to be alone - find me! Or any of our leaders (meet us here) and we'll take you under our wings and love on you like crazy! I want to connect with you before even, so email me anytime girls. Influence is a place to build real friendships - don't feel scared at all, it's a very loving environment. Lie #4: I don't have enough followers and I don't fit the "blogger" profile. Doesn't matter what size our blogs are, how big or small - it's not about that at all. It's really not. It's about our hearts. Last year I packed all my most "bloggy" clothes. Rosette flower headbands, stripes, polka dots, anything mint colored... you know the drill. To be honest, I don't really dress that way in real life. But I wanted to fit in. I put together outfits that looked like blogger fashion posts to me, and then I showed up feeling totally uncomfortable... not myself. On top of that, my skin broke out in a huge zit and I literally had the thought: "What if the girls think I just naturally have this zit on my face but I've been photoshopping it out of my pictures?" I over-thought things, I was all nervous. And once I showed up and got past the nerves? I realized I didn't need to be nervous or scared at all. I didn't need to try and "dress like a blogger." The women loved on and welcomed me wholeheartedly. So this time? I'm bringing yoga pants and cute outfits that make me feel comfortable. All of that to say, dear friends - don't be afraid that you're not enough of a blogger or a woman or "cool" enough. You are. Because you're YOU. Visit the Influence Conference website to learn more and make this thing happen! And let me know if you need prayer about coming or want to plan a REAL coffee date! Or you have decided to take the plunge and buy tickets. I can't wait to meet my sweet community there! Friends, thanks for all the love about my upcoming book this past week. Check back tomorrow, I'm sharing my new book's website - you don't want to miss it!! So excited to be there!! God totally knocked my socks off in how he provided for me to go, and I just know it will be full of blessings to be among all of the lovely ladies attending!! Hope to meet you! I'll be there! Hope to meet you, Erin!! that's why i enjoy blogging. is the support and all that bloggers give but lately not many do it. It's more hate and bashing and its ridiculous. Will be praying that you have a wonderfully blessed time my friend. I'm so excited to see you again. So so excited. I'll be there this year, so excited and super nervous, but more excited! I would love to go....Goodness knows I would steal you away too much, Erin! haha. Blessings on your time there!! Rock on girlfriend! Oh, and I loved everything you stated above. Totally relate to the "bloggy clothes" thing. Sooo relatable!! This would be so cool! And Indi is within driving distance for me. I can't get off work those day. :( I hope everyone else has an amazing time! Thanks so much for posting all the information about the conference! I just learned about it and the Influence community. I'm getting ready to begin my blog which I have been wanting to do for years now and I think this might be a good opportunity to meet people, learn, and be inspired. I am within driving distance but still haven't made my decision because I will know NO ONE and since my blog is not up yet I don't know if I am jumping the gun here. Your post has made me feel more assured on going so hopefully it will all work out! Oh my gosh, so weird how God works..I was just searching for Blogging Conferences and then was reading everyone's posts and read yours! I want to go so bad, I wish I would have known earlier but I am still going to try my hardest!! Looks like so much fun! I am SO excited to meet you Erin! I still can't believe it all worked out and I am going, but God is good to me! Friend, I also am so nervous about some of those things and this post has helped so much! Thank you! But I would be nervous about going and then just being the one standing next to the wall. When I'm in a totally new group of people, that can be very intimidating!! But I have to see what my husband says about the matter!